We all have a life story. Something that makes us uniquely different and special. So when a product comes along that helps us commemorate special moments in our lives, it makes it that much more meaningful. Origami Owl does just that. It’s a jewelry line that is completely customizable and designed to tell your story. I’ll admit, I hadn’t even heard of Origami Owl until a few weeks ago. But once I saw their products and saw the story behind how it started, I knew I had to share it here! I have to say, one of the most impressive things about Origami Owl is that it was started by Bella Weems, when she was only 14 years old! From a modest $350 startup, she has built Origami Owl into a successful multimillion dollar company! If that isn’t inspiring – I don’t know what is! Bella knew that people would love creating stories with their jewelry, and she was right! (Even celebrities are getting in on the action!) 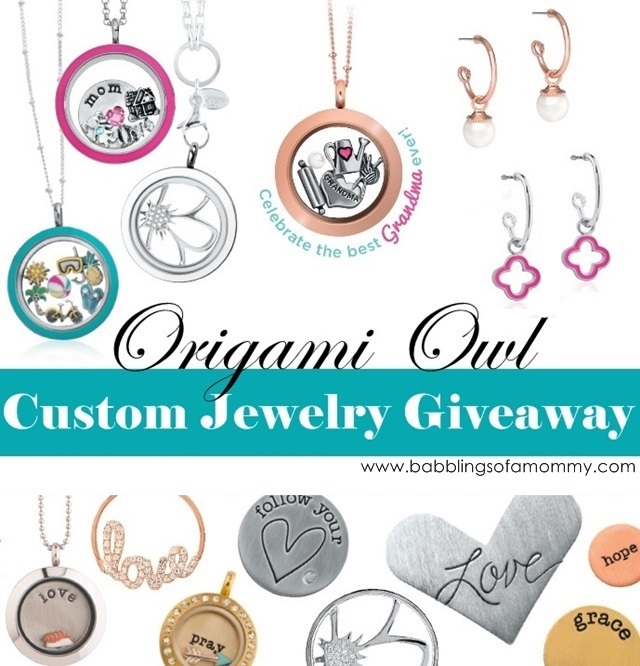 With Origami Owl you can design your own jewelry by selecting charms, jewels, and plates to put into a Living Locket. From birth stones to initials, to faith and hobbies, you name it - they have charms that cover all aspects of your life. You can even keep customizing and changing your locket to your heart’s content. Once you've picked out your charms, you select a chain and - voila! You’ve created a beautiful piece of jewelry that is near-and-dear to your heart, or to someone else’s. In the meantime, Peggy is graciously offering one of my readers an Origami Owl item of their choice!!! (Under $30) To enter to win follow the instructions in the Rafflecopter widget below. I would like the COBALT CRYSTAL IN SILVER. I'd choose the SILVER LINK LOCKET BRACELET CHAIN. There are so many cute charms. I would choose a living locket or the SILVER MY FAMILY TREE PLATES. I would pick th Medium silver twist link locket with pink crystals. I would choose the large silver living locket! I don't have an Origami Owl collection yet but I've been wanting to create one for a while! 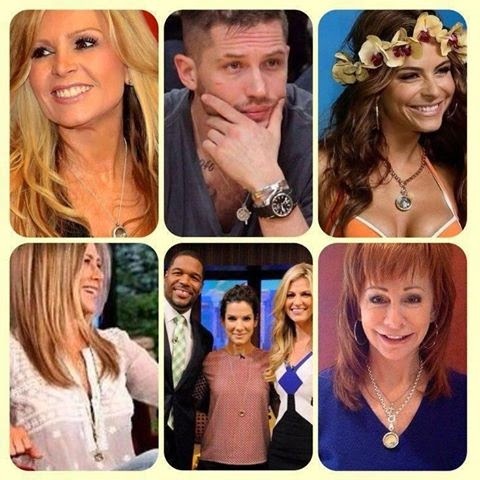 I'd get the medium matte black living locket! $18.00, to replace mine... it was broken! I love the silver lockets!! Its SO hard to pick just one! I might get the Silver Owl Studs! I would choose the Silver heart living locket with crystals! I would get the medium silver living locket. Large Silver Pave Hoop earrings !! I love Origami Owl. I recently bought my first necklace, I haven't received it yet, but at the time I didn't have money for a plate or a tag for it. I'd love to get the "LARGE SILVER MOM HEART PLATE" or the blessed tag! i would love the 7" gold link locket bracelet chain so that I can fill it with the birthstones of the ones i love the most. Silver heart living locket with crystals is so pretty..
Rose gold crystal earring drops are super pretty!